The development programme is part of an agreement to build 40 new homes per year. Four Lochaber communities are to benefit from 20 new “affordable” homes. 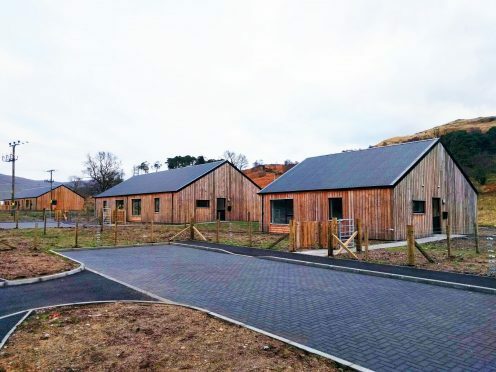 Kilchoan, Lochyside, Mallaig and Strontian are the latest areas to gain from a collaboration between Lochaber Housing Association (LHA) and the Highlands Small Communities Housing Trust. The respective organisations have pledged to offer a diverse range of homes. The LHA provides social rented homes and low-cost home ownership properties to complement the trust’s rent-to-buy scheme and self-build options. Association chief executive Blair Allan said: “Scottish Government financial support for increasing the number of new affordable homes throughout Scotland is at unprecedentedly high levels. The association previously halted developing new-build properties because grant levels and borrowing terms in the financial markets were disadvantageous. Revised grant levels and better market conditions have changed that. Trust chief executive Ronnie MacRae said: “We’re delighted to be working again with a range of experienced local contractors to provide energy efficient, lower cost homes throughout Lochaber in various housing tenures. The rent-to-buy scheme is a low-cost home ownership scheme which provides households with the opportunity to rent and then purchase their homes with the aid of a loyalty cash-back amount for their mortgage deposit. The scheme has Scottish Government loan funding secured for about 60 homes, spread throughout various communities over three years.